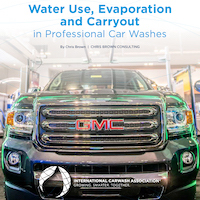 In the latest research release from International Carwash Association, the new study on Water Use, Evaporation and Carryout in Professional Car Washes is now available for download. A comprehensive study is available, as well as individual versions broken out for In-Bays and Conveyors. The individual reports are a great tool to use in your conversations with your water authority about water use. Visit https://www.carwash.org/for-operators/water-use-in-the-professional-car-wash-industry-study?utm_source=CWNews&utm_medium=Email&utm_campaign=CWNews to view the full article online. The Trump administration’s new tariffs on aluminum and steel, and the threat of more duties on imported cars and car parts, will weaken the U.S. economy and inflict serious damage on the nation’s auto industry, a panel of trade analysts warned last week. Visit https://www.usatoday.com/story/news/politics/2018/09/05/trade-experts-tariffs-could-harm-auto-industry-weaken-u-s-economy/1195278002/ to view the full article online. Join the car wash industry on November 11 by honoring Service Personnel with a FREE wash! Once registered, you'll have access to FREE marketing materials available to promote your participation! It's not too late to give back to those who protect our freedom! Participants gave away 264,759 washes in 2017, and more than 2 million free washes since the program's inception in 2003!!! Flying Ace Express Car Wash announced the donation of $1,695 to the Volunteers of America of Greater Ohio’s Operation Backpack Campaign. Monetary donations were collected at all 3 Dayton Flying Ace locations August 10-12, 2018, and customers donating $5 received a coupon for a free signature "Flying Ace" car wash their next visit, a $15 value. Visit https://www.carwash.org/car-wash-magazine/car-wash-news/news/2018/09/12/flying-ace-express-donates-$1-695-to-operation-backpack to view the full article online. From now until September 15, for every car wash sold at Mega CO-OP Holiday stores in Eau Claire, Wisc., owners will donate $1 to the Boys and Girls Club of the Greater Chippewa Valley. Visit https://www.weau.com/content/news/Boys--Girls-Club-benefits-from-Holiday-Car-Wash-492814001.html to view the full article online. As a leader, you’ve got to have a great team in order to succeed because you will never achieve the long-term results you want without the right people. So how do you identify the best leaders so you have the dream team that will take your organization to the next level? Visit https://chiefexecutive.net/david-novak-ceos-identify-future-leaders/ to view the full article online. When it comes to the topic of truth as it pertains to business relationships, we tend to focus on the art of detecting lies. But rather than try to play gotcha, try to focus efforts on nurturing an environment that is conducive to honest dealings. Visit https://www.forbes.com/sites/chrismyers/2018/09/11/how-to-encourage-honest-business-relationships-in-the-post-truth-world/?ss=leadership#2d4b64bb7ca1 to view the full article online. 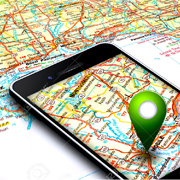 Visit https://smallbiztrends.com/2018/08/local-marketing-strategies-small-business.html to view the full article online. Visit https://www.entrepreneur.com/article/319517 to view the full article online.